The KSB SuPremE motor made by the Frankenthal pump manufacturer KSB has been IE5 classified since January 2017. The motor meets the requirements of IE5 (IEC/TS 60034-30-2), the highest of energy efficiency classes for variable speed electric motors; compared with IE4, motor losses are reduced by a further 20 percent. Unlike conventional synchronous motors this drive is made without any magnetic materials such as rare earths that are categorised as critical raw materials since their extraction causes severe environmental impacts in their countries of origin. KSB SuPremE motors with a rated speed of 3000 rotations per minute in efficiency class IE5 are now available up to a rating of 18.5 kW. Versions with a rated speed of 1500 rotations per minute and a rating of up to 15 kW largely satisfy the requirements of class IE5. By the end of 2017 all types in this range will be IE5 classified. The drive, which was initially introduced at Hannover Messe 2009, is designed without a squirrel cage. The magnetic field lines are guided by special rotor laminations. 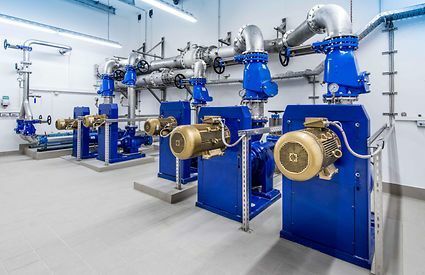 The so-called synchronous reluctance motor represents technology capable of fulfilling all future requirements that will be placed on pump motors’ efficiency. To make optimum use of the maximum motor efficiency it is crucial for the hydraulic system in which the pump is employed to be optimised and for the pump speed to be matched to actual demand.